UK: The future of wind power in the UK was thrown into further doubt after the country voted to leave the European Union in a referendum on 23 June. The prime mininster, David Cameron, who had led the campaign to remain in the EU, announced his resignation shortly after the result was confirmed with 52% voting to leave. The governing Conservative Party will now elect a new leader and PM, who will form a new cabinet. The exit vote hands greater power to the right-wing faction of the party, unlikely to favour development of renewables. "Whatever government emerges in the aftermath of the leave vote it will need to clarify its policies with respect to climate change, renewable energy, technology preferences, state aid, and many other matters of direct relevance to the utility industry," said Tony Ward, head of power and utilities at Ernst & Young. "The question as to whether support for low-carbon technologies will be withdrawn is a fundamental one. How UK governments from now use their freedom from EU policy constraints will be watched closely." The current administration, elected with a narrow majority in May 2015, had already cut support for new onshore wind build but was still prepared to back offshore development, although demanding ambitious cost reductions. Reducing or cutting support for offshore wind would have a big impact on jobs, now that Siemens and MHI-Vestas have set up assembly and construction facilities in the UK, boosting job numbers in the supply chain, too. RenewableUK CEO Hugh McNeal put a brave face on it. 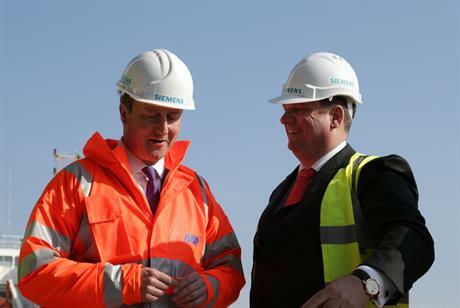 "Our focus will continue to be on delivering power to the UK at the lowest cost," he said. "The future is bright; the European and global opportunities remain immense." But David Wadham, partner at legal firm Ashurt Utilities, said: "The outcome raises so many questions for the UK power industry, and in particular the renewables sector, that it is vital that the government takes swift action to ensure there is sufficient certainty to allow power companies to make investment decisions. "In particular, developers need clarity on any impact on the next contract for difference allocation round scheduled for later this year."